Magazine for the American salon owner. News and informative articles on the latest developments in the hairdressing industry. Also business advice for hairstylists. Hair magazines available through Hairfinder. Hungary’s Nr. 1 professional hair and beauty magazine. 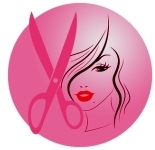 Hair, beauty, nail art, spa – not only for professionals. Bimonthly, 165 pages. Magyarország elso számú szakmai lapja. Haj, kozmetika, körömápolás – nem csak szakmabelieknek. Kéthavonta, 165 oldal. Brazilian hair fashion magazine with a large and informative website. Multimedia section with step by step (passo a passo) instructions for the latest hairstyles. For the Californian hair stylist. View and read parts of the magazine on the interactive website. Hair fashion magazine from Bulgaria. Dutch magazine for professional hairstylists. Pictures of the latest hairtrends. Finnish magazine for hair professionals. Photo galleries of hair shows and trendy styles on the website. Click on "jatkot" and "muoti". British trade magazine written for salon owners. With the latest hair and beauty news that affects hair salon owners.